Besides that, the update brings integration with Facebook, the ability to search for users and individual hashtags (another user request), improvements to capture and sync, and of course "other bug fixes and UI improvements." 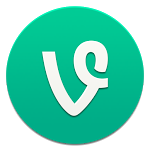 Vine co-founder and GM Dom Hoffman did after all promise the team would "continue to make changes to take advantage of Android's design principles and patterns." If you're a Vine user and haven't already grabbed the update, just hit the widget below.